Sweet pepperbush is native to the temperate regions of eastern North America. This cultivated variety, ‘Ruby Spice,’ has rose pink flowers, vs. white to pink flowers in the original. It is not found in the wild. 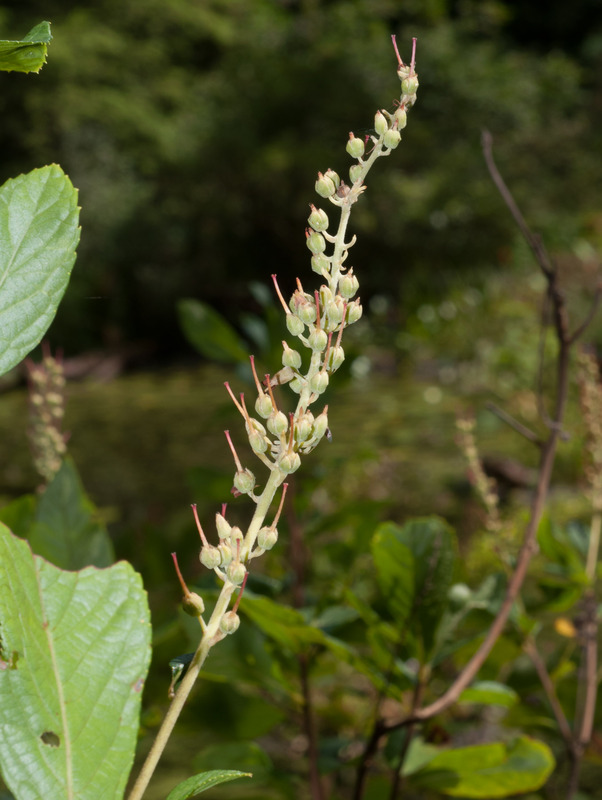 Pepperbush has no relation to peppercorns or peppers, but its seed capsules resemble peppercorns. 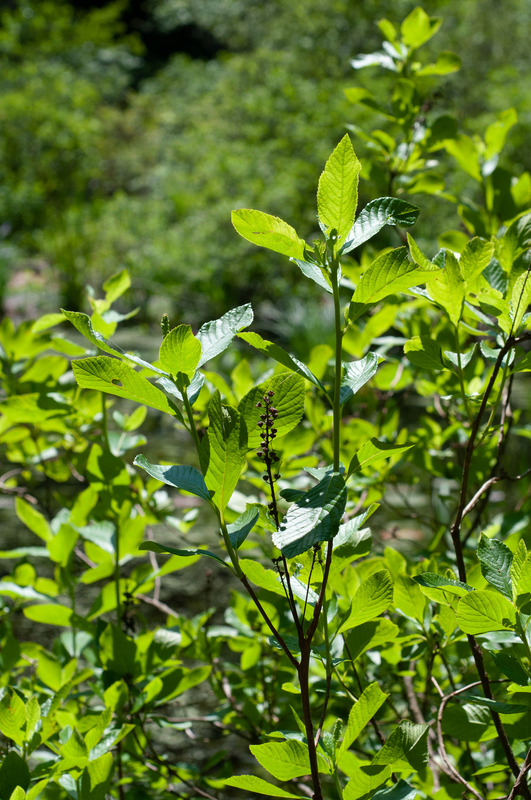 Identification: This deciduous woody shrub, 4-6' (1.2-1.8 m) tall and 3-5' (91-152 cm) around, has multiple stems, is most often found near fresh water in areas that are at least seasonally wet. The shrubs form densely packed colonies. 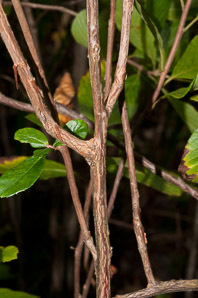 Leaves are dense, alternate, 1½-4" (3.8-10 cm) long and 1-2" (2.5-5 cm) wide. The leaves have a prominent vein structure and serrated edges, and are usually shaped like ovals with pointed ends. In the fall, they are yellow-green to yellow-brown. The pleasant-smelling flowers are rose pink, in narrow bottlebrush-like clusters 4" (10 cm) × ¾" (1.9 cm). Individual flowers are ⅛-⅜" (5-10 mm) around. In the fall, the flowerheads are filled with small oval seed capsules that persist through the winter. Each capsule has three sections. Clethra alnifolia ‘Ruby Spice’ description by Thomas H. Kent, last updated 2 Jan 2019.